There are currently 50,571 users on this website. 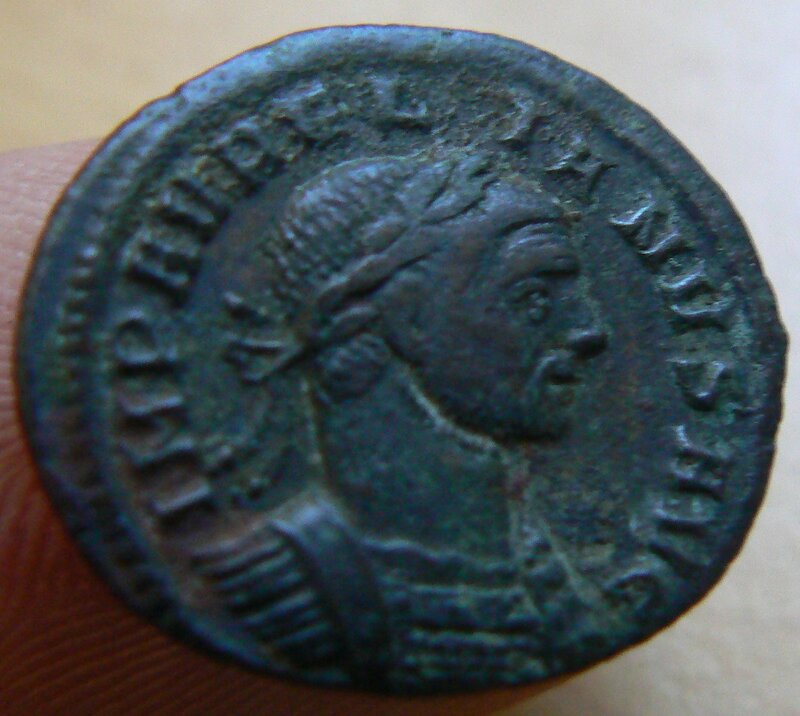 I initially struggled to identify this (I'm a newby to Romans) because of the odd letter spacing on the obverse. Is this normal? 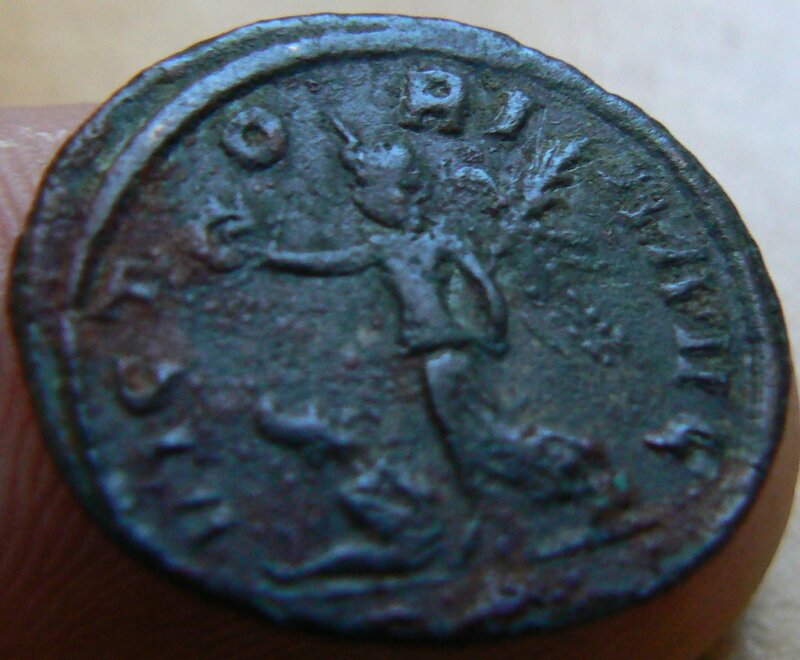 I believe this to be a bronze denarius Aurelian Victory of Augustus, but I have no clue about the specific variant. Something like this ..but cant make out the mintmark.. The last of it's kind (Denarius)- As debasement continued, this coin was replaced by the Antoninianus. Very nice! 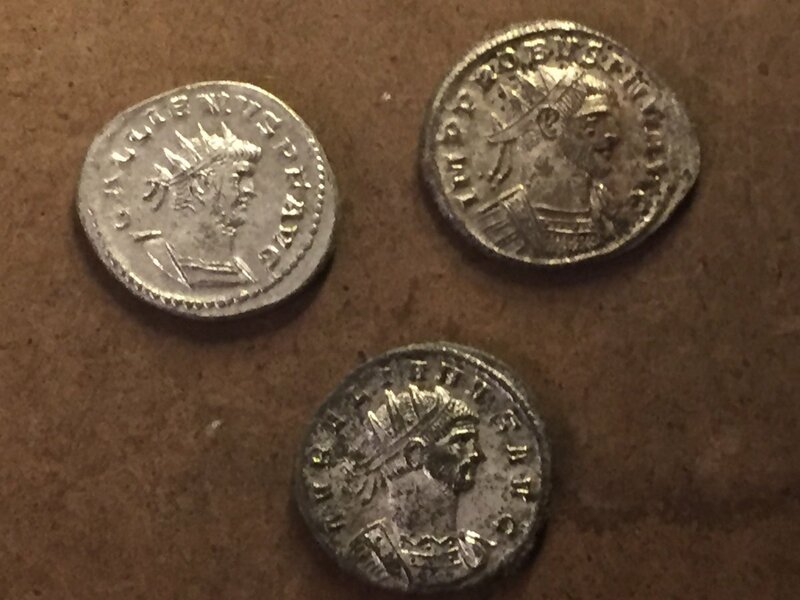 I've never owned an Aurelian denarius. Looks like it might come out even nicer with a bit of cleaning. Nice tall 'smurf hat' on the captive too - I don't think I've seen a taller phrygian cap than that.